Earlier this year, I co-led a food tour of three Filipino restaurants in Toronto and talked about the owners' migration stories, how Filipinos have woven their way into Canadian society, and the history of foods they served while (importantly) eating and drinking things that in the simplest way, made me very proud of my food culture. What more could I ask for? It’s been hard to get my head around this myself, but after taking time to review what we talked about - I realize that it personally meant a lot because these kinds of conversations around food were ones that I've been longing to have, both with Filipinos (who share a similar point of cultural reference) and with non-Filipinos who, over time, have "become Filipino" in more ways than one. At each stop of our food tour, we asked our hosts - three groups of Filipino-Canadian restaurateurs - about why they started their business, why they've focused on featuring food and drink from the Philippines, examples of everyday challenges to running their business and of course, about what we were about to eat. Dishing Up Toronto is a series of food tours and tastings organized by the Ward Museum in collaboration with the Culinaria Research Centre, the hub for food studies at the University of Toronto. The program aims to create space for Torontonians to tell their stories of migration using food as a vehicle for storytelling. For last year's pilot project, the Kapisanan Philippine Centre for Arts and Culture brought my co-host Joyce Voegler on to lead the "Balikbayan Renaissance" food tour. Other Dishing Up Toronto guides brought guests to join in an intimate feast celebrating the end of Ramadan; a walking tour of Toronto's Chinatown; and a cooking workshop held in one of the city's best-kept historic manors. What absolutely hooked me onto this program was the fact that it put the principles of culinary tourism I've been reading a lot about into action. Seeing as I also recently completed a certification course with the World Food Travel Association, I couldn't wait to apply what I learned! Located at a busy corner of Queen Street West, Lamesa Filipino Kitchen is easily the city's most recognized Filipino food spot, consistently voted into "best of" restaurant lists by local blogs and magazines. As the main stop for last year's food tour, owner Les Sabilano and executive chef Daniel Cancino instantly got on board - with a new venue (and equally compelling story) in mind for their sister spot, LASA by Lamesa, a fast casual restaurant that serves classic Filipino dishes made to order. From the 1900s onward, the turo-turo/carinderia became an important source of income for many families. It had minimal overhead costs, could become very popular based on a cook's skill, and allowed owners to build relationships with regulars. This entrepreneurial mindset travelled with Filipinos across the globe. Outside the Philippines, many of these turo-turo restaurants served as ad-hoc community centres where you could post flyers for community events/jobs, catch up on news and celebrity gossip through the cable channel playing overhead, or send a balikbayan box home to your loved ones. How much of what you learned at Lamesa was applied toward reworking Les' parents' old turo-turo space into LASA? How do translate your experiences into making Filipino food accessible for customers in Toronto? How do you see LASA and Lamesa growing with the Filipino community? We brought Filipino recipe books that covered traditional takes of kare-kare (i.e. cooked in a clay pot called palayok), its status as "special" food (that most families would not make at home but go out to restaurants for) and modern-day variations (i.e. LASA’s kare-kare, a 48-hour sous-vide recipe). Instagram-obsessed Filipino-Canadians know Tito Ron's for their desserts - which admittedly look so damn good and make you want to eat them through your phone. Learning about how this sweet shop came to be makes you even prouder to be part of their story! 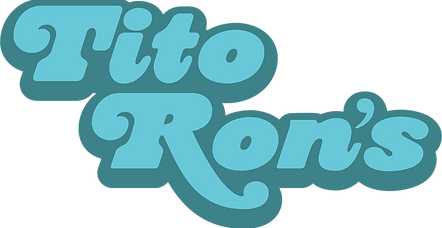 Tristen Petate and Michael McFarlane started Tito Ron's in the summer of 2015, after a whirlwind season of pop-ups at food festivals across the city. While their original idea centred on savoury snacks, their signature ube turon sundae and other vibrantly hued desserts became so popular that Tito Ron's eventually became known as the Toronto spot for "remixed Filipino desserts". From a tiny stall in Kensington Market to a residency at Death in Venice Gelato and Wong's Ice Cream, Tristen and Michael have their thumb on what customers want - those customers largely being second-generation Filipinos who loved the Philippine sweets (exported to Canada) that they grew up eating, and now craved those fruity, milky tastes of their childhood in freshly baked cookies and handmade pies. Was it a way to connect with cultural heritage/explore a hyphenated identity? What's so special about our desserts and baked goods? Could you share a challenge that came with running your business full time? What's it like marketing Filipino desserts to a wide audience? Is Toronto ready for it? What feedback have you heard from Filipino patrons? People agree that perhaps there's a hesitation with spending hard-earned money on foods that can be made at home or, more often, "we can buy in a box of 12 for half the price"
Also largely positive...all you need is to follow them online! How did you come up with these desserts? Do you have trouble looking for ingredients from the Philippines? I'm a sucker for bars. Our third stop was at Dolly's Mojito Bar, featuring a neon red sign that flashes "Filipino Fare" like a beacon of warmth on a wintry night as you exit the subway. Though it's on one of Toronto's busiest roads, this section of Bloor St. feels like you're in a friend's neighbourhood: people hang out in front of shops, get their bike fixed, pick up groceries, buy lottery cards. But it's also quickly gentrifying; next door there's a record store, a vegan cafe, a tattoo shop, and restaurants and bars serving Caribbean, Italian, Indian and Filipino food. In 2011, owner Dave Sidhu spent everything he had on the concept for his first restaurant, Playa Cabana - a spot with an impressive tequila list, delicious tacos, and a bar you couldn't resist. Six years later, he's opened just as many successful restaurants. In a city with a scene like Toronto's, that definitely says something. On getting drunk at chilled out "inuman" sessions versus loud "keggers"
Why did these become so popular? Pick the right playlist, make sure people have a good time, have fun!